PowerLed were invited to design a scheme for this project as a comparison to an existing scheme using product from an alternative manufacturer. The customer wanted to see if we could improve the overall spread of light across the playing area. Using our product FLEX-LENS Asymmetric 240W floodlight, we were able to meet all the requirements and greatly improve the scheme, ensuring there were no areas of the playing field that saw a drop in light level. Specially designed to withstand harsh conditions. Robust design ensures suitability for various applications and resistance to high-pressure washing. Purpose built to handle constant exposure to vibration and far outperform legacy light sources. Precision crafted optics made of top quality PC with 96.5% light transmittance. 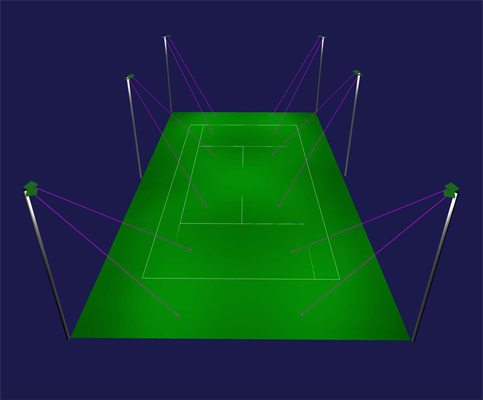 Asymmetrical light distribution ensures the court surface is well lit, without light pollution. Constant low voltage DC power supply producing no visible stroboscopic effects, combined with optimal glare control via precisely crafted asymmetrical optics ensures optical comfort for players and spectators alike. 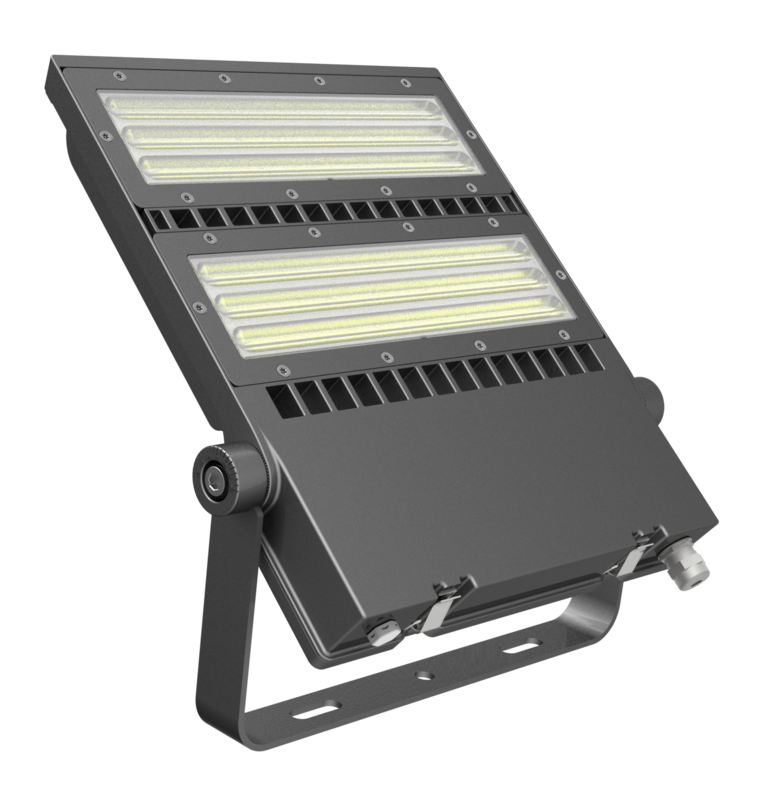 Specially engineered weather resistant housing material and surface treatment prevent a build-up of dirt on the luminaire, allowing for easier cleaning and prolonged lifespan. The FLEX-LENS is a sophisticated and innovative asymmetric lens range of floodlights for use in areas where directional light is important such as sports fields. Using high quality SMD LED arrays and the very latest optic technology offers excellent efficacy. With a custom case design for effective heat dissipation, rugged design and in house LED driver technology the FLEX-LENS is an ideal solution for any environment.